It's great to see contemporary art being regularly shown in Torquay. 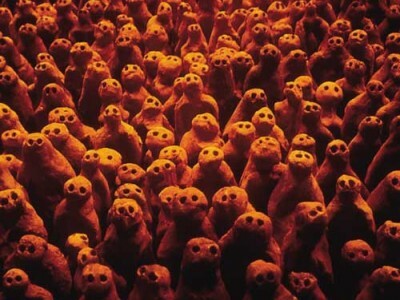 It really started with 'the Gormleys' at Torre Abbey in 2009 (actually titled 'Field for the British Isles') - 40,000 small clay figures, standing together, all staring towards the viewer. 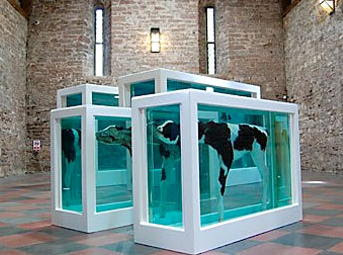 Following the success of that, there was the 'Tamed' exhibition, which featured Damien Hirst's 'Mother and Child Divided'. 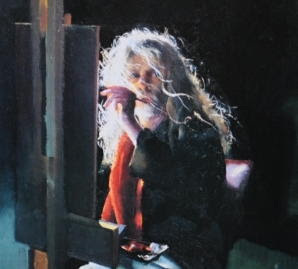 Last year there was the impressively mounted Robert Lenkiewicz 'Death and the Maiden' exhibition at Torre Abbey (see previous post here). Currently showing at Cockington is My Giant Colouring Book by Jake and Dinos Chapman. 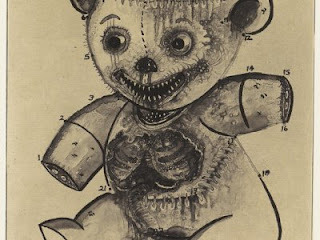 This is a series of 21 etchings loosely based on images and dot formations from children’s connect-the-dots colouring books. The images 'explore dark and subversive themes for which the Chapman Brothers have become infamous'. I'm not a big fan of the Chapmans myself but if you want to catch the exhibition you have until Sunday May 27th to get along to Cockington Court.